Hillary and her Republican ally had a plan to destroy Donald Trump. Hillary, her Democratic National Committee, and "one Republican," as the media identifies the person, began to pay Christopher Steele to create the now infamous "Russian dossier" on Trump. Even before she and the DNC began to pay for the dossier, a Republican was funding it. This led to the FBI investigation of the Trump campaign over possible "collusion with Russia" to influence the presidential election. But now the plan intended for evil is miserably unraveling. Joel Pollak writes, "Hillary Clinton and the Democratic National Committee paid the opposition research firm Fusion GPS to compile the 'Russian dossier' that triggered an FBI investigation into possible collusion between Donald Trump's campaign and the Russian government..."
The liberal Left Washington Post has even had to admit that Hillary's plan was a scam. The Washington narrative is focused on special counsel Robert Mueller’s probe. But the ferocious pushback and unseemly tactics from Democrats suggest they are growing worried. Maybe the real story is that Democrats worked with an opposition-research firm that has some alarming ties to Russia and potentially facilitated a disinformation campaign during a presidential election. I addition to this, investigations are beginning this week into the deal made by the Obama Administration---approved by Secretary of State Hillary Clinton--- to sell 20% of all US uranium reserves to Russia, resulting in donations to the Clinton Foundation of more than $100 million from those who benefited from the deal. With investigations now being launched by Congress in both the uranium matter and the Russian dossier matter, much more will be exposed in the coming days. While the narrative will change---leaders in the far Left progressive community are already distancing themselves from the Clintons, including the DNC Chairman who is telling the press he had nothing to do with it---but the human bent to lie will not change. It will be important that we as Christians and citizens are both informed and discerning as these investigations move forward. The Bible identified early on in Genesis how lying always destroys. In fact, because the first 2 human beings embraced "the lie," their relationship with God was severed. The biblical message is "Love the Truth, hate the lies" (Psalm 119:163)--"I hate and abhor lying. But I love Your law." Some thoughts on misleading people. Joseph's brothers sold him to the Midianites, dipped his coat in blood, brought it to Jacob and said, "We found this coat. Does it look like your son's or not?" This was technically true, but the implication was that the brother had been killed by a wild animal. In this case, God brought about good in spite of their evil. When confronted by Moses regarding the golden calf, Aaron implied it just sort of happened---he said he threw in the gold and out came the calf. But he neglected to say that he had sculpted the calf with an engraving tool. One of the many accusations made against Jesus at His trials was that He had claimed He would destroy the temple and build it again in three days. It's true, Jesus had said He would "rebuild the temple in three days," but he never said He was going to destroy it. As we know, he was referring to His Body---His death and resurrection on the third day. Ananias and Sapphira lied to the Early Church regarding the sale of a piece of real estate. That definitely did not end well. James Garfield, our 20th president, said, "Now more than ever the people are responsible for the character of their Congress. If that body is ignorant, reckless and corrupt, it is because the people tolerate ignorance, recklessness and corruption...If the next centennial does not find us a great nation...it will be because those who represent the enterprise, the culture and the morality of the nation do not aid in controlling political forces." Remember, "The Truth shall set you free." Well, Hillary just threw in the gold, and well, I guess we will find out the rest of the story. Frankly, I'm more concerned about what's in the dossier than who funded it. At this point, much of what's in it has been confirmed as true and non of it has been confirmed as false. 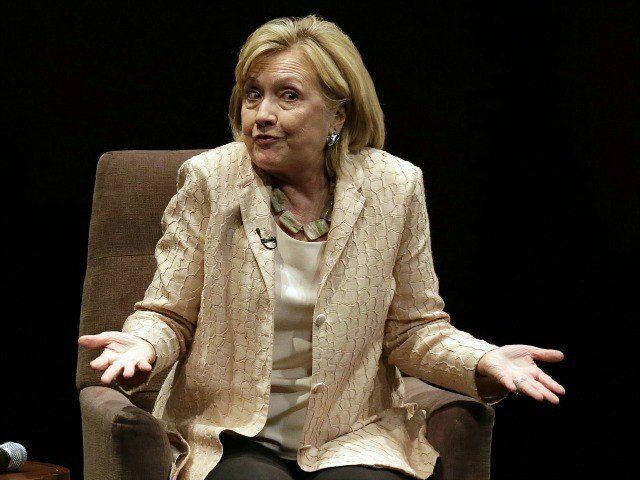 Is Hillary being dishonest about her involvement? Probably. Did the dossier uncover some really, really ugly information about Trump? Probably. Mueller's on it so time will tell. Deception has infected our Government, our Judicial System, our Educational System, our Military, our Culture, our Families, Christ's church, the United Nations, our national and international Banking systems, and our Media. A few bold, courageous individuals who are dedicated to truth are finally uncovering what has been hidden for so very long. They need our "increased" prayer and financial support. Hopefully more courageous champions of truth will join them each day. Don't fall for it. Trump warned us that the WAPO was all fake news so I don't believe this story at all!